Choosing not to cut corners on the quality of our screens or our video distribution systems, we have invest heavily into our commercial grade Panasonic Plasma Screens. 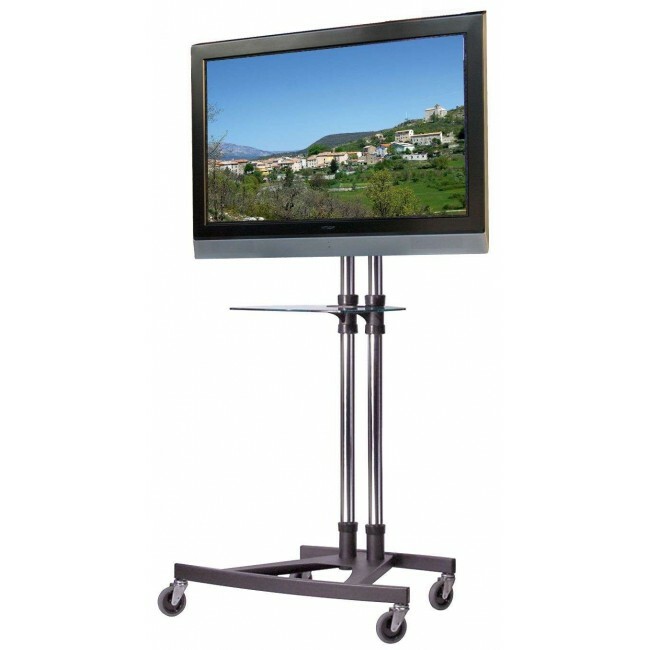 Mounted to 6ft Tall Unicol freewheeling stands, these screens will elevate above a front line audience and are typically viewable by all up to 5-6 rows of seating back. Everyone in the room should be able to take advantage of your presentations, why not let us help with that. Using SDI transmission protocol, we can promise the finest image presentation from computer or video source to screen, and can run lengths of 300m of cable – we can be anywhere – we don’t even need to be in the same room. Why not consider an Multi Camera HD live camera feed to the screens, or perhaps go even further and have us create a live feed of your event straight to the web – iPhones / iPads / Androids / PC’s / Mac’s – we can broadcast in HD to almost all compatible devices with an internet browser. Call us for a competitive quotation on getting your event seen!